The last bits of work on these models will be the bases and the varnish. That should go pretty quick, as the bases are all pretty much uniform, and I already know the paint recipe I want to use. I’ll be using ‘Ardcoat again for the varnish, though I might go a little thinner to see if I can cut down a little more on the gloss. 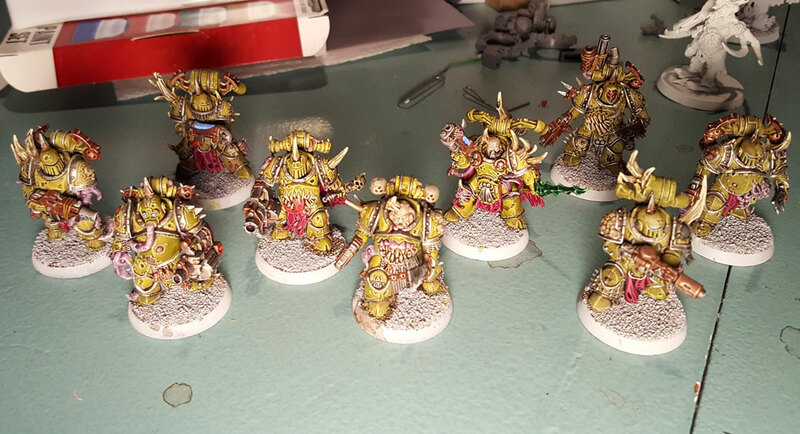 Once this squad is done, I’ll just need to create four more Plague Marines and I’ll have the three squads I run in my Death Guard army. 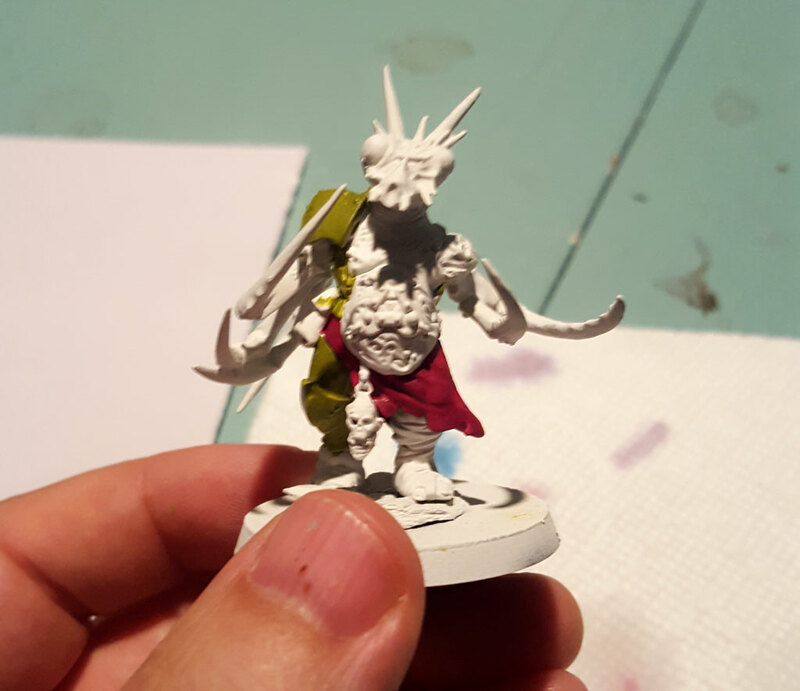 Another model I’ll be working – actually I’m already working on it – is a Nurgle Chaos Spawn. I’m going to try some techniques with shade paints on the skin. I want to see if I can improve my transitions at the blended areas. We’ll see if I can pull it off. I’ll update more as I finish things. Thanks for visiting!